Unfortunately, I can’t offer the paperback edition for free due to the cost of printing, but I did my best to keep the price as low as possible. The paperback is available at Amazon and Barnes and Noble. I’m offering the book for free to get it into the hands of as many readers as possible, especially the younger generation who has yet to experience the things some of us ‘older’ women have. Please share it as much as possible. You have my permission to download it and give it away to as many people as you like, on one condition: Do not sell it. This book must remain free. Is he intrusive, accusatory and controlling? Does any of this sound familiar? If so, you could be in grave danger. Jealousy is a form of mental abuse that is almost ALWAYS a precursor to physical violence. If jealousy is present in your relationship, it is a red flag that should warn you of worse things to come. Trust me on this one. I have experience in this area. But your relationship is different than mine was, right? I sincerely hope it is, but I’d bet money that it isn’t. 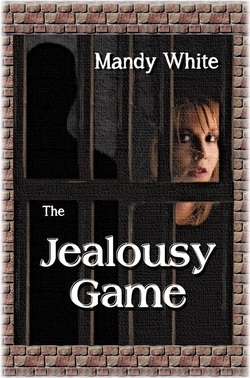 ~ The Jealousy Game follows the cycle of abuse as it develops within a woman’s relationship with a jealous man, starting with subtle little displays of jealousy and culminating in a struggle between life and death. ~ Red Flags: The book provides a list of common symptoms that appear when a relationship has progressed beyond what should be considered normal. If you recognize your own relationship in any of these scenarios, it is a sign that you should consider ending it before you become traumatized, injured or even killed.